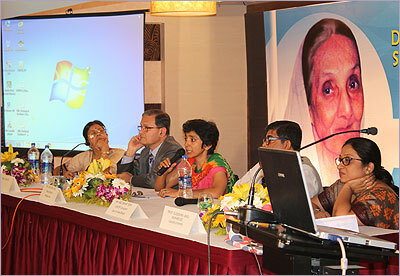 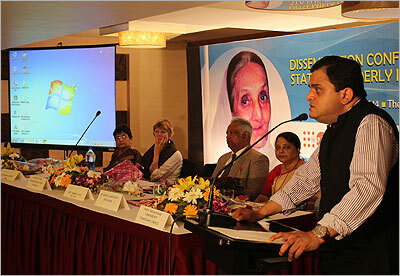 CMIG in collaboration with UNFPA (India), Institute of Economic Growth IEG (Delhi), Institute for Social and Economic Change (Bangalore) and Tata Institute of Social Sciences (Mumbai) organised a one-day seminar to disseminate the findings of a recent study conducted jointly on the “Status of Elderly in West Bengal”. 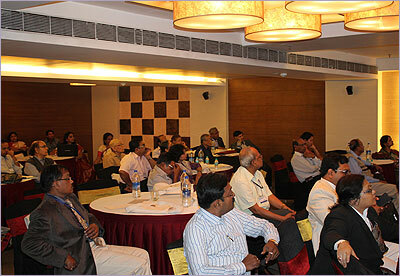 The dissemination seminar was held on 25th February 2014 at the Banquet Hall of The SONNET Hotel, DD-8, Sec-1, Salt Lake, Kolkata-700 064. 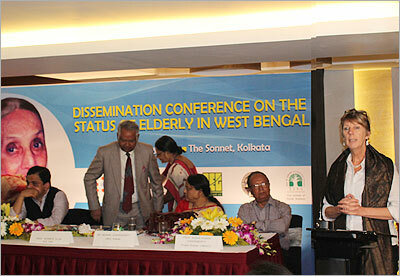 The conference covered several important issues arising in the wake of rapid demographic changes in the state and faster ageing. 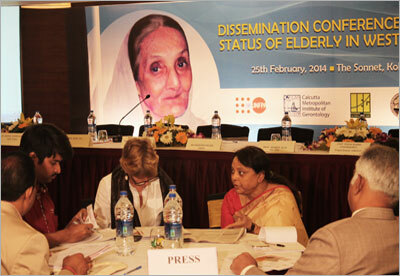 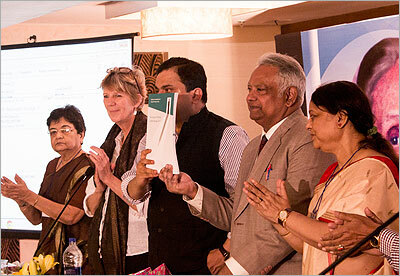 Some of the significant issues that we cover during the course of our presentations include changes in living arrangements of the State’s elderly population, their work and income statuses, asset holdings, health conditions, and access and awareness about various social security schemes run by the Centre and State Government.